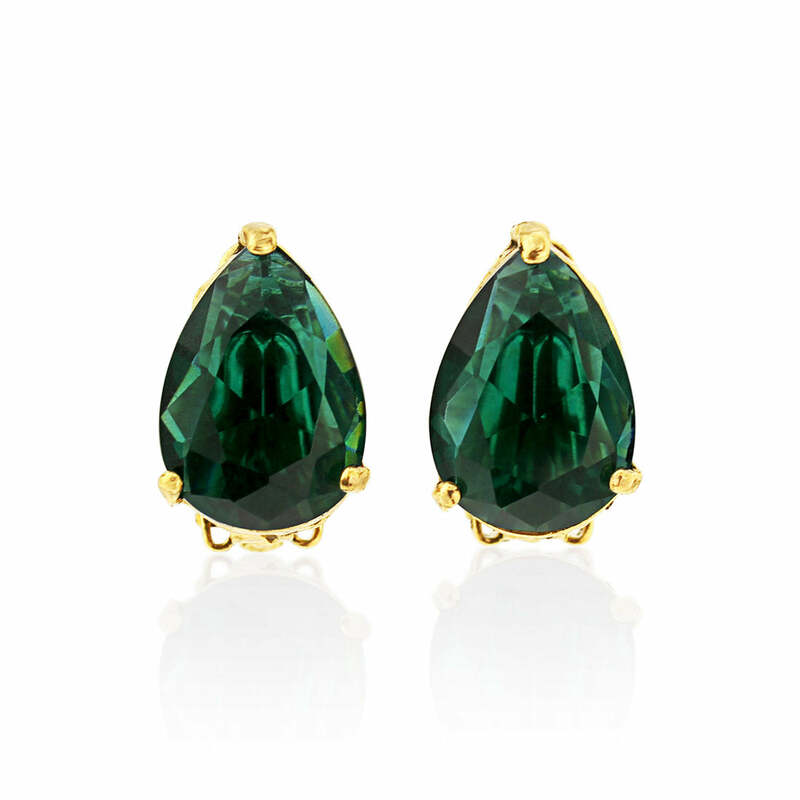 Full of 1940s Hollywood glamour these pear cut emerald crystal clip on earrings are stunning. Oh Emerald Elegance, you do so call to our vintage loving hearts. The timeless drop design is so perfectly reminiscent of 1940s Hollywood that we feel ourselves slipping into blissful dreams full of handsome leading men and glamorous leading ladies. Emerald Elegance are scene stealing, show stopping emerald clip on earrings whose Starlet style design is definitely worthy of a close-up. They are attractive, alluring and completely captivating and the intense emerald and gold colour combination is timeless in its appeal. Let us assure you that comfort is not sacrificed for style here as these clip on earrings are so well designed and perfect for all day wear. The stunning combination of vivid stone and style make Emerald Elegance truly perfect bridesmaids earrings and we have no doubt that your maids will wear them time and time again after the wedding for these earrings are totally deserving of an encore.